We did a quick walk on the Marsh Discovery Trail n this a.m. to see if Dennis the Menace, the aggressive Red-winged Blackbird, was still defending his nesting area. He is. 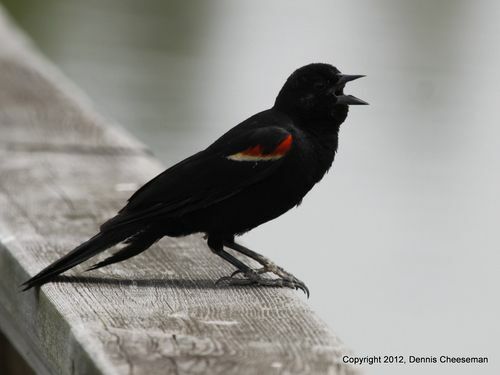 If you hear a male Red-winge Blackbird calling at you — typically a single note, repeated — don't dawdle. He is only doing his job. Now you see him (the fly on the branch). Now you don't! 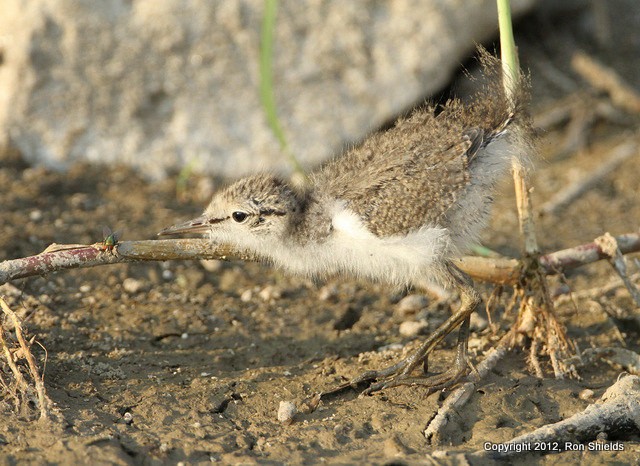 A young spotted sandpiper learns how to hunt for supper. 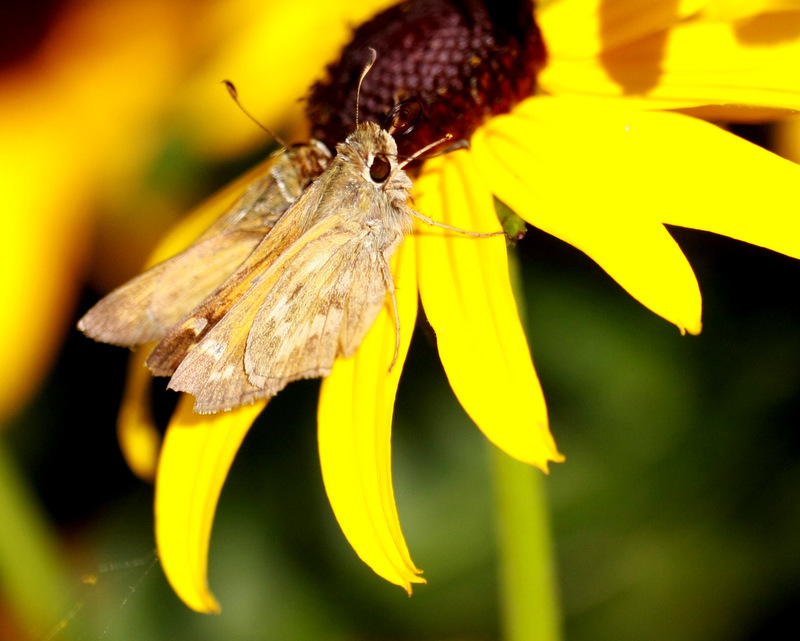 Don Torino's latest column for wildnewjersey.tv is on Butterfly Day — this Sunday, July 22, at DeKorte Park. "Butterflies have come to signify many things in different cultures; from a time of transition in one’s life to a symbol of the soul. "But butterflies are also a sign of a healthy environment, one free of pesticides and rich in biodiversity. 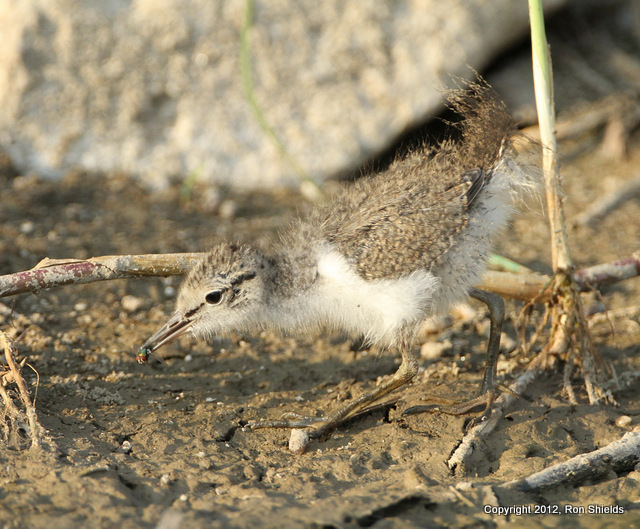 "A prime example of a vigorous healthy butterfly habitat is DeKorte Park in the Meadowlands. DeKorte, the flagship of all the parks within the meadowlands district, is a wonderful model of many diverse healthy habitats and countless native plants that benefit the butterflies. "Since the Meadowlands have become cleaner with restoration by the New Jersey Meadowlands Commission, DeKorte Park, is becoming a hot spot for avid butterfly watchers from all over the state." Rick Wright pointed out these amazing bugs late last week as they dug holes in the beach by Teal Pool in DeKorte Park. They are Sand Wasps. 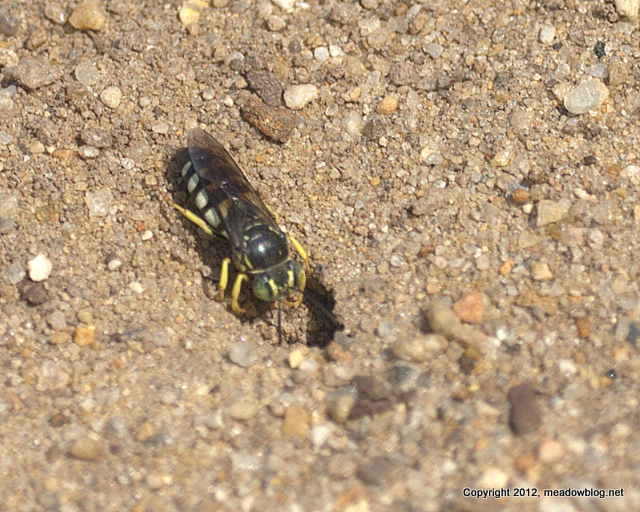 More on Sand Wasps here. They don't sting unless you are overstepping your luck, and they eat mosquitoes!